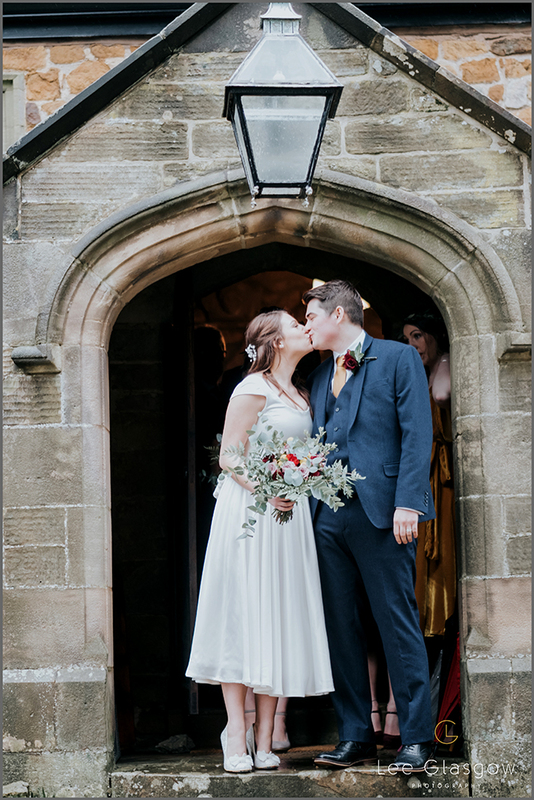 Well, I believe this is a first for me, somebody seeing my work on Instagram, the world’s gone mad, secretly I loved it, you just never where Wedding enquiries are going to come from! 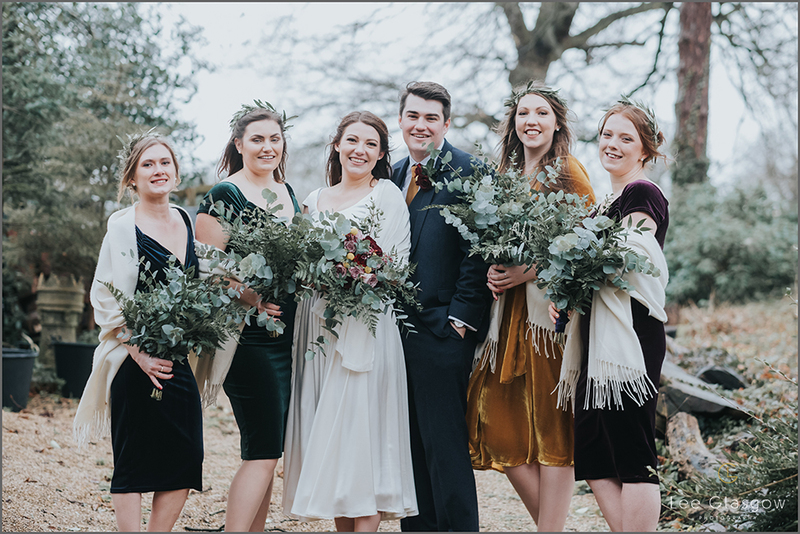 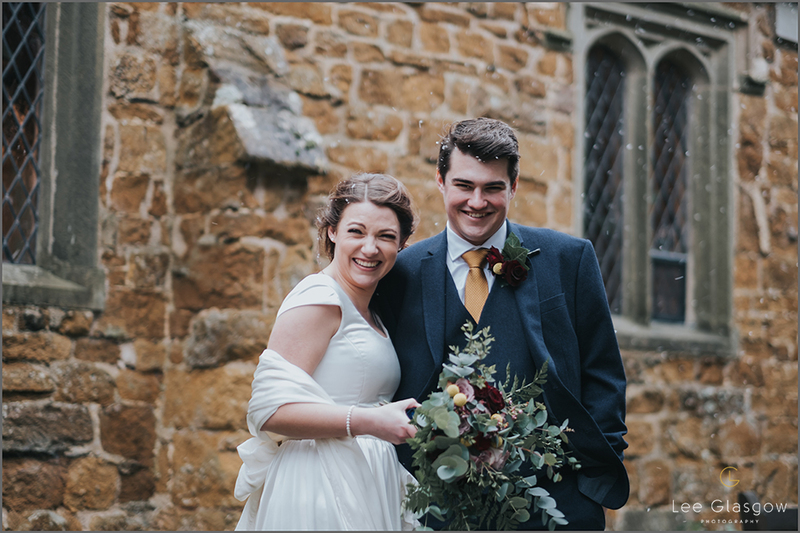 How do I describe this end of winter Wedding, yes there was a little rain and it was a bit fresh, maybe, just maybe a few drinks were taken, to combat the weather! 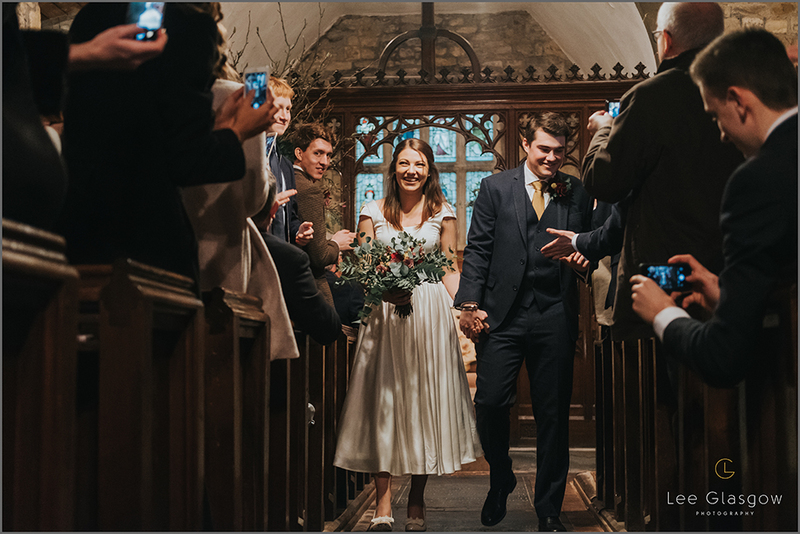 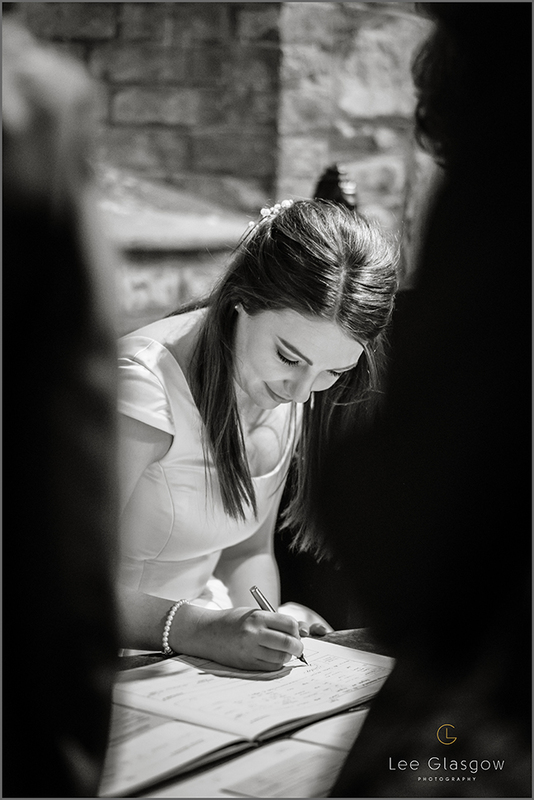 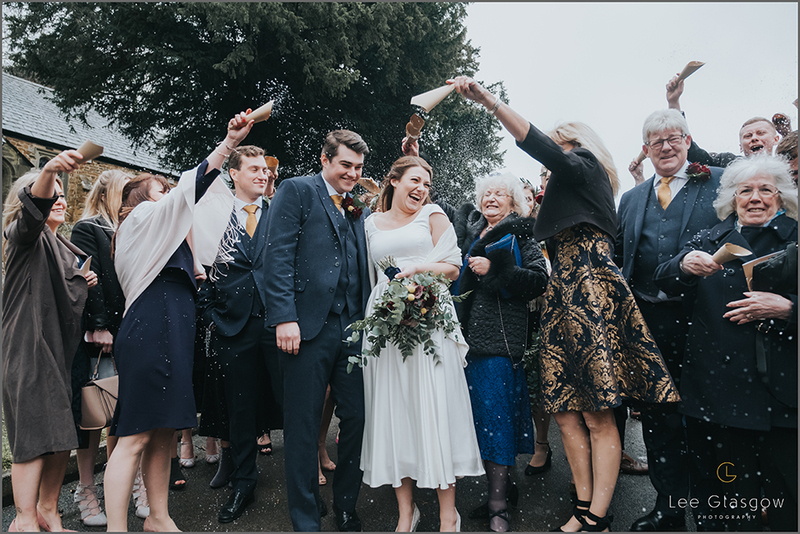 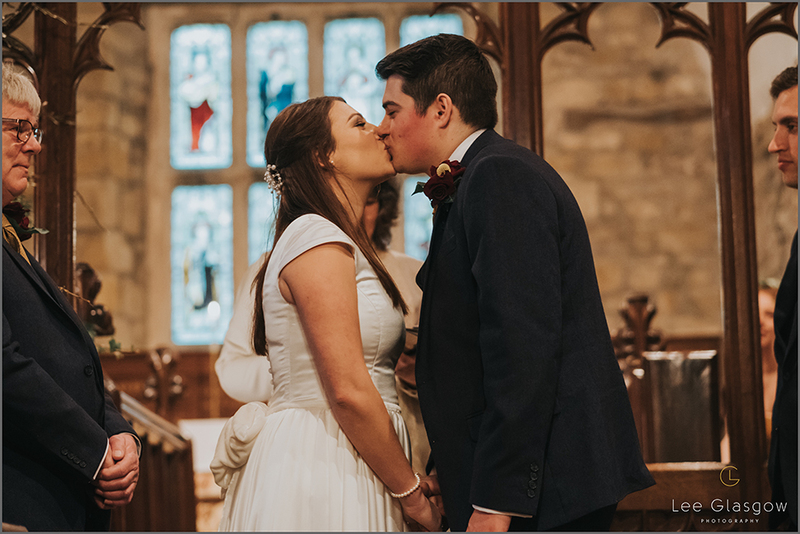 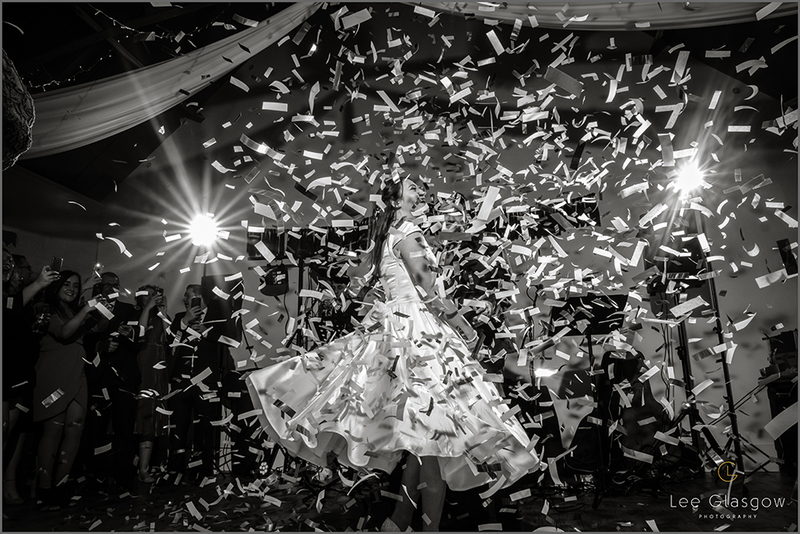 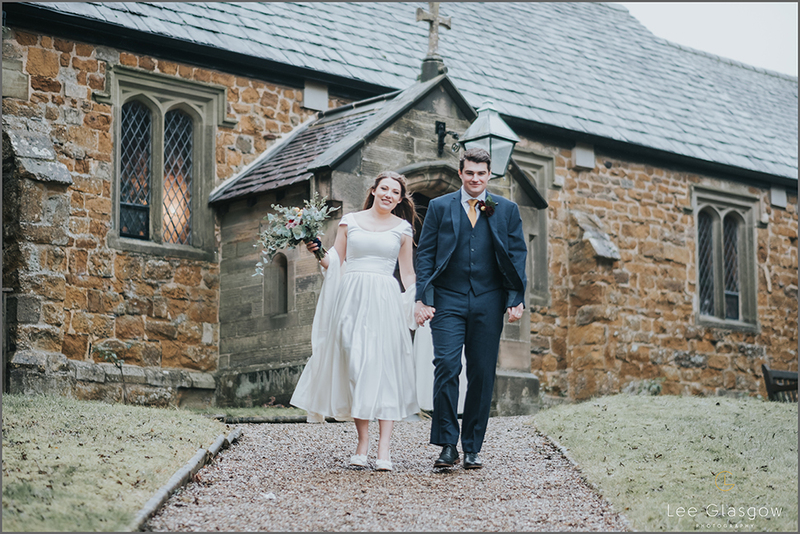 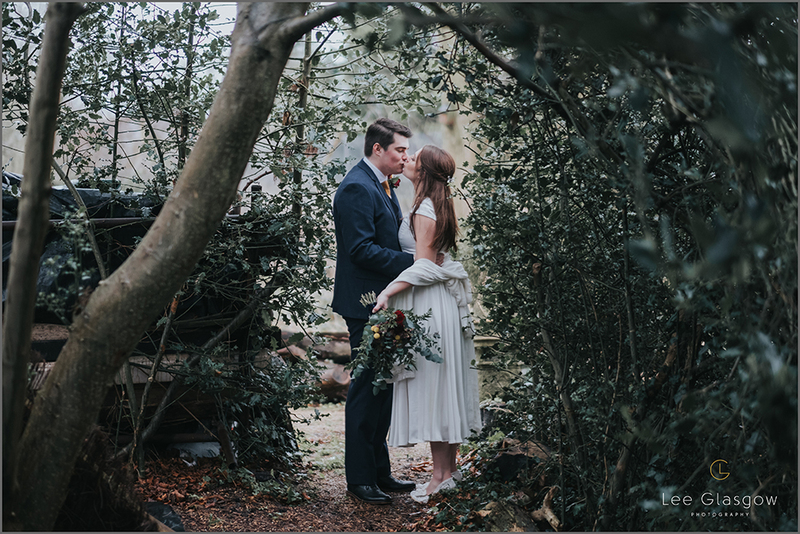 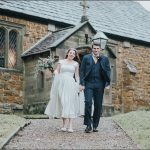 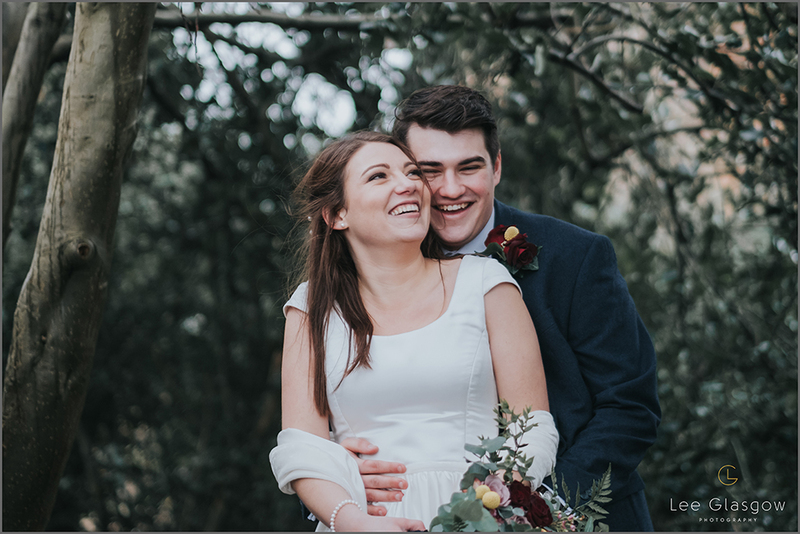 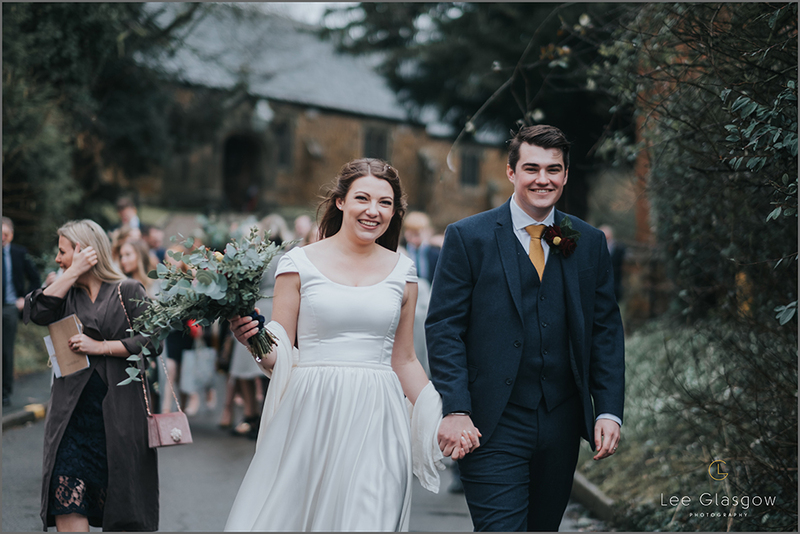 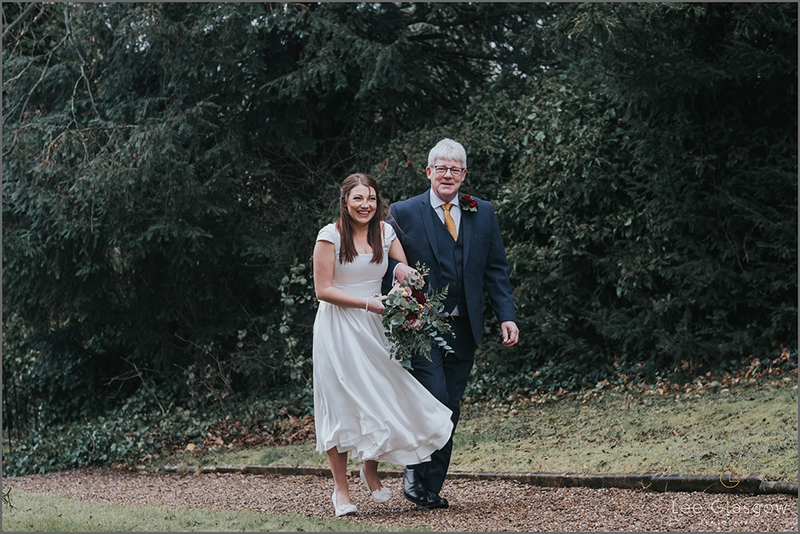 It was A 60-second walk from their fathers home to the Church, Keyham Church, Leicestershire, after a lovely service from a really friendly Vicar, it was a hop and a skip to the Village hall, they had decorated this place so lovely, It was the perfect Wedding venue for their celebration! 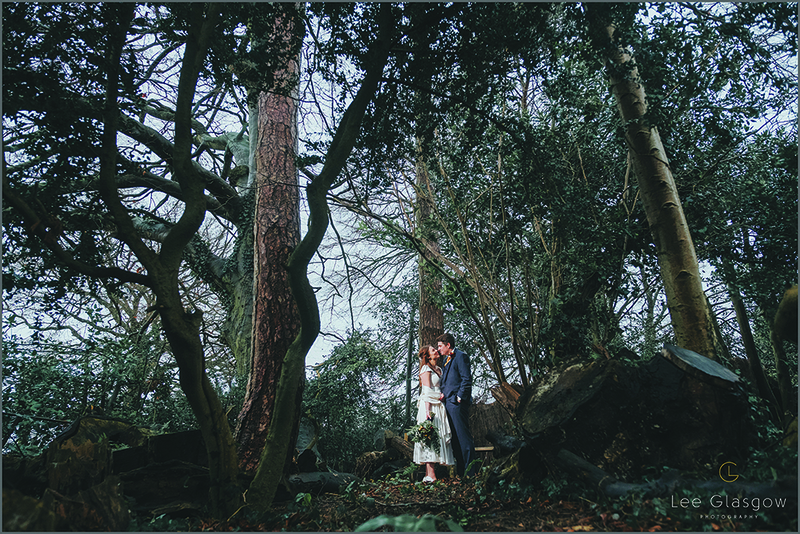 Now there was no real specified location for images, so In the morning I did a little search of the area and found this beautiful old house with a fab large garden, I knocked on the front door and asked the sweetest lady, if I could borrow her Garden for some wedding images, she was delighted to help, I could have hugged her! 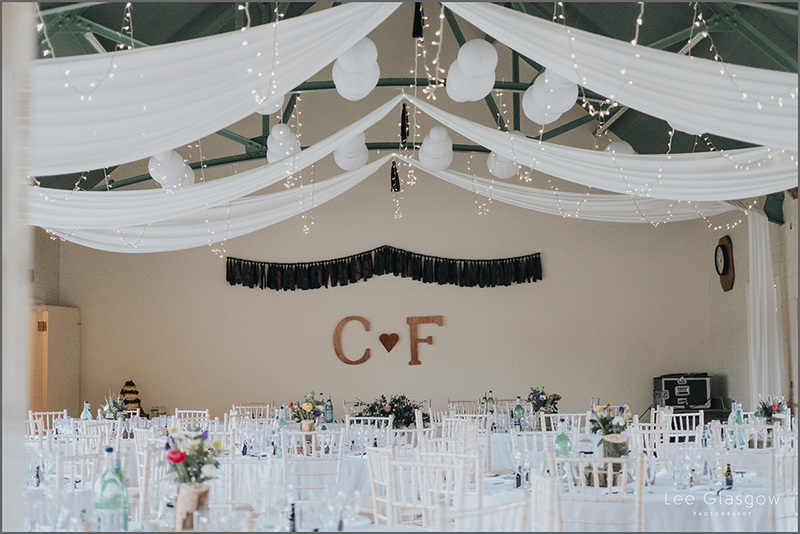 After A lovely warm, filling wedding breakfast, everyone piled into the pub next door, so the Village hall could be cleared, ready for the evening Wedding party! 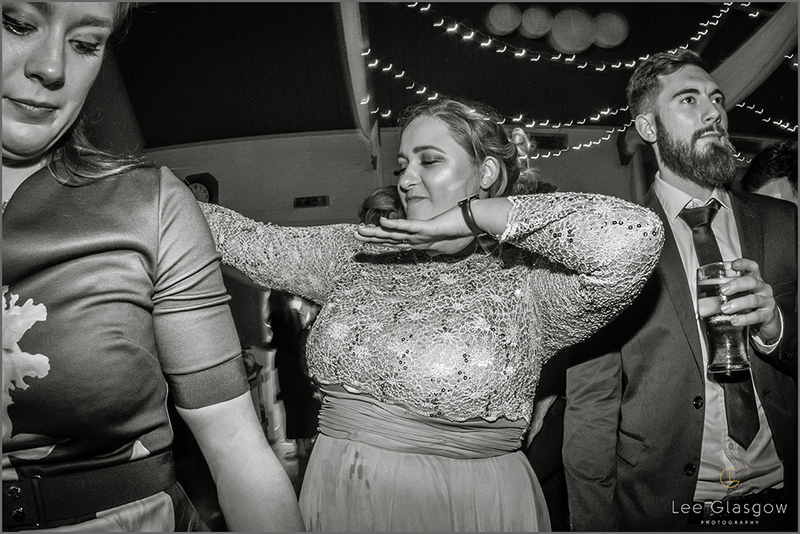 The 3 piece band, did their thing with indie hits, the drink was flowing and everyone was on the dance floor! 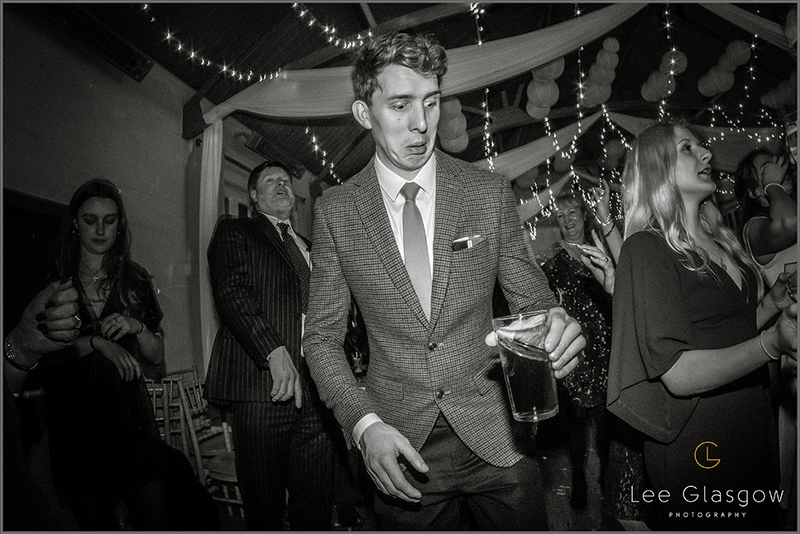 As a good wedding should be! 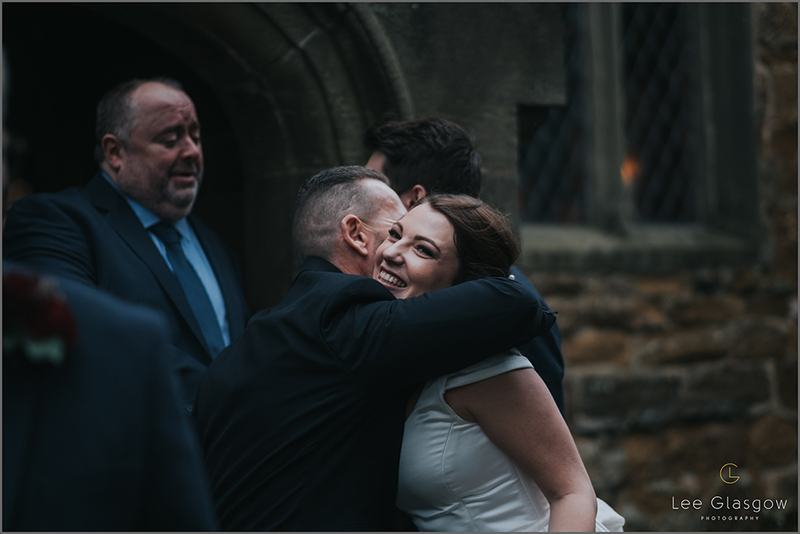 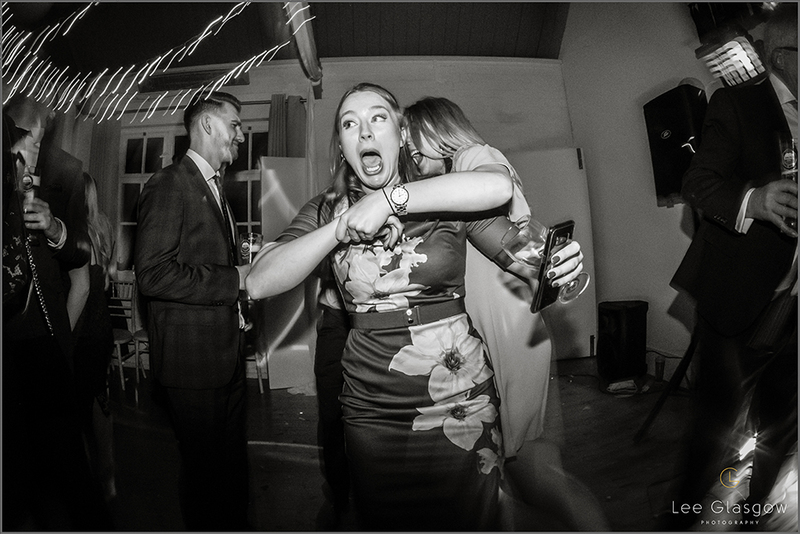 That there is a happy content bride! 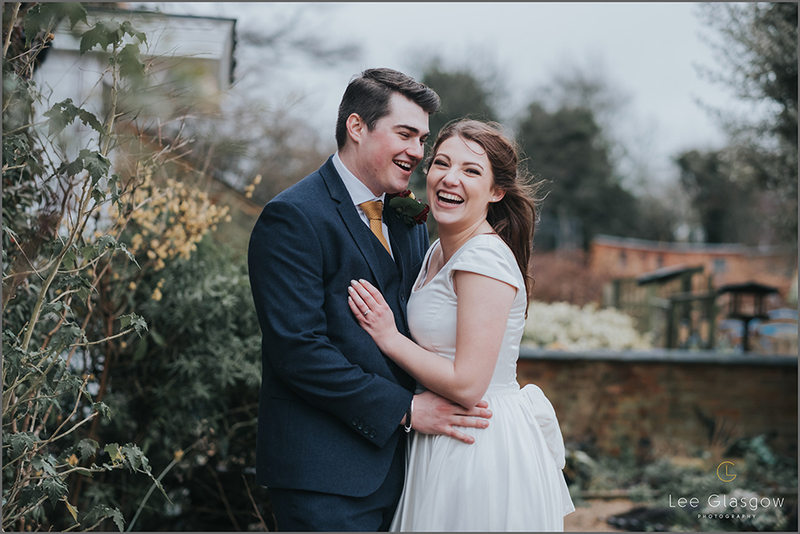 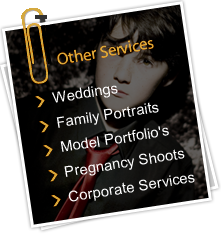 I hope you once again love this little set of winter wedding images.